Feb. 4. 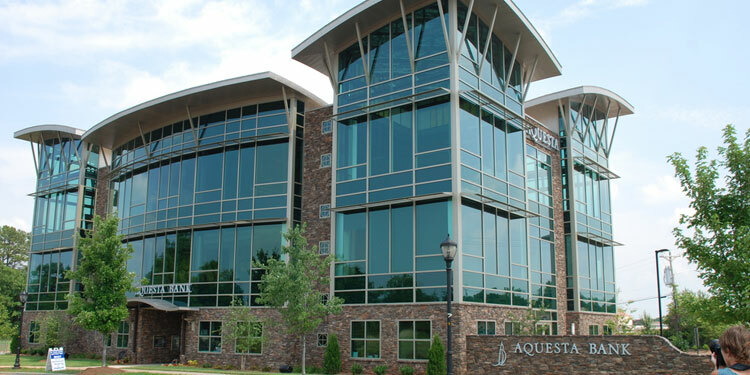 Aquesta Financial Holdings has closed on a $15 million private equity placement that will help the Cornelius-based bank continue to expand in the Carolinas. Castle Creek now owns 9.9 percent of Aquesta’s voting common stock. “Castle Creek is a sophisticated and experienced investor specializing in community banks. We are very pleased that they have chosen to invest in Aquesta,” said Aquesta CEO and President Jim Engel. The shares were issued at $11.50 per share. Net proceeds were approximately $14.1 million. Net proceeds from the private placement transaction will support and the entirety of a new class of non-voting Preferred Stock, which is convertible into voting and non-voting shares of Aquesta common stock under certain circumstances. Castle Creek also received a warrant for 150,000 shares of Aquesta voting common stock, exercisable at a price of $11.50 per share, in whole or in part and at any time or from time to time, during the next seven years. Certain members of Aquesta’s Board of Directors have also agreed to purchase an additional $200,000 of Aquesta common stock in the transaction. The bank recently announced its strongest quarter and year since it was formed 12 years ago. “This investment will allow us to continue to expand and better serve our community,” Engel said. Aquesta Bank has branches in Cornelius, Davidson, Huntersville, Mooresville, Charlotte, and Wilmington, as well as loan production offices in Raleigh, Charleston and Greenville, SC. Sandler O’Neill & Partners, L.P. served as the sole placement agent for the private placement. Wyrick Robbins Yates & Ponton LLP served as legal counsel to Aquesta and Troutman Sanders LLP served as legal counsel to Sandler O’Neill & Partners, L.P.